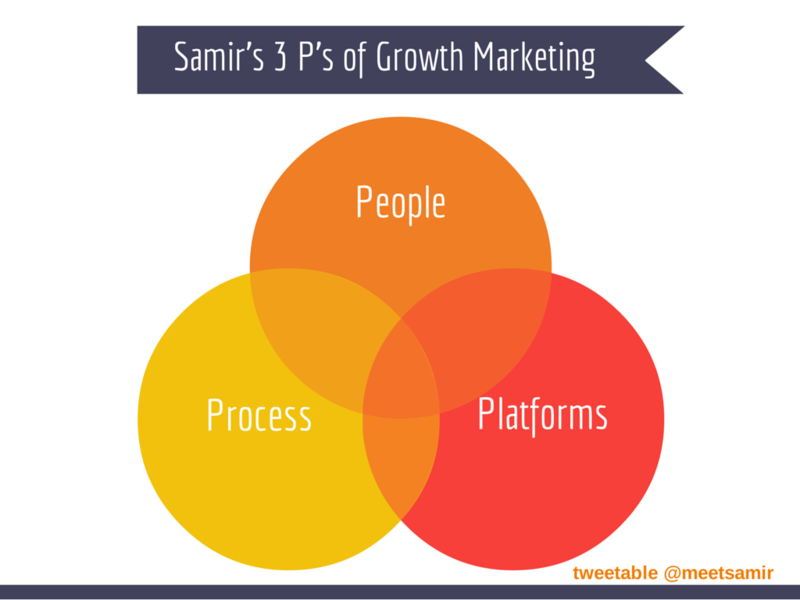 Samir Patel is the President & CEO of GrowthMachines, TheGrowth.Academy and Mentor at 500Startups. After driving growth for the world’s largest companies, producing millions of dollars of revenue, building automated trading systems like SearchForce and managing over $1B+ in online advertising spend, I’ve consolidated my experience into a single, strategic framework called the 3 P’s: A comprehensive guide to building high performance growth organizations. Every organization is unique; each with different customers, markets, products, and business models. What is universal, however, is the opportunity for any business to build effective and personalized 3 P’s using a highly scientific approach. 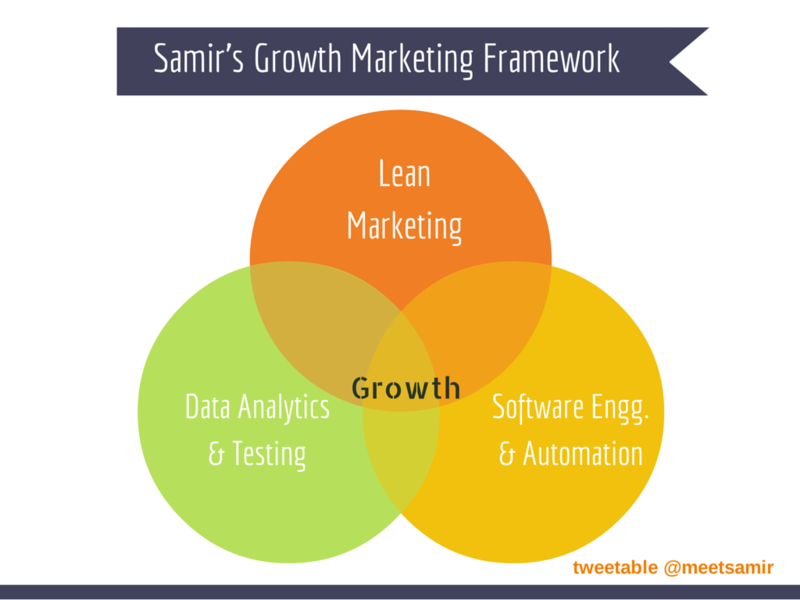 Therefore, growth hacking is not just a do or die for lean and mean startups. It’s for any organization that wants to drive profitable and sustainable growth. While there’s no doubt that large companies operate differently – decisions being made in the boardroom, not on the whiteboard – the size of company is irrelevant so long as the right teams are assembled with the right values. A word of warning: this is not a “one size fits all” approach to growth. Rather, it should serve as a comprehensive guide from which CEOs and CMOs will weave all the 3 “P’s” together to meticulously address their company’s unique business goals. What are your growth targets for the next four quarters? What is your current plan to get there? Do a gap analysis: What are the skill gaps between people you have and people you need to execute a world-class growth strategy? How do you hire, build, and structure a growth team for your business? What does the ideal growth wizard’s resume look like, and what skills and personal qualities should they possess? This section will guide you in assembling a team that practices a philosophy of constant, unrelenting improvement, as well as a commitment to understanding why experiments succeed or fail. Interested in becoming a Growth Guru? Join the Growth MBA in a Day, in New York City on November 17.